Do you have a loving Forever Home that you could give to these two beautiful Utonagans (AKA Spirit of the Wolfe and Northern Inuit)? They are brother and sister and need to be homed together. They are 5yrs old and both are neutered and spayed. 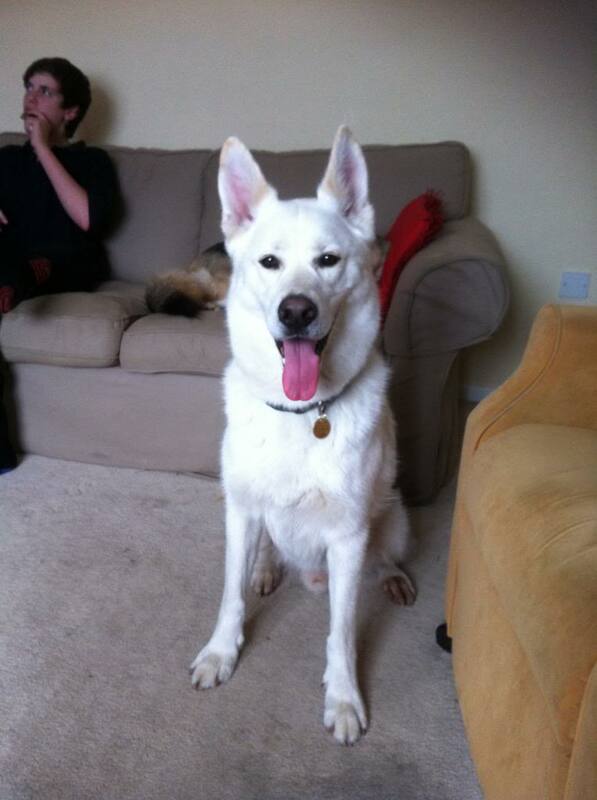 Currently in a Foster Home in Gloucestershire with two other GSDs and children of 6 & 13 yrs. Dozer (short for 'Bulldozer') and Shyan are very friendly with a lovely temperament and are very affectionate - will do anything for a treat! 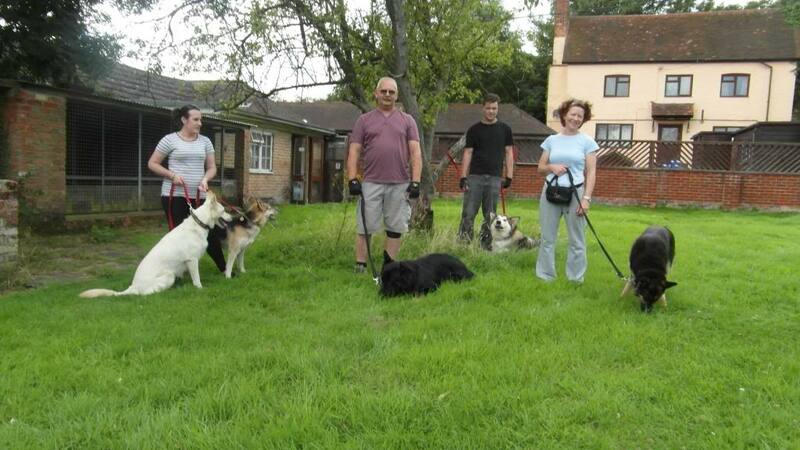 They are house trained and good with other dogs, strong on lead and have just been introduced to Halti's which has worked well so far and they are a pleasure to walk. Recall has not been tested at this stage. No food aggression or toy possession shown as yet. All four dogs happily sleep in the kitchen at night but Dozer will try and sneak upstairs if he gets the chance. 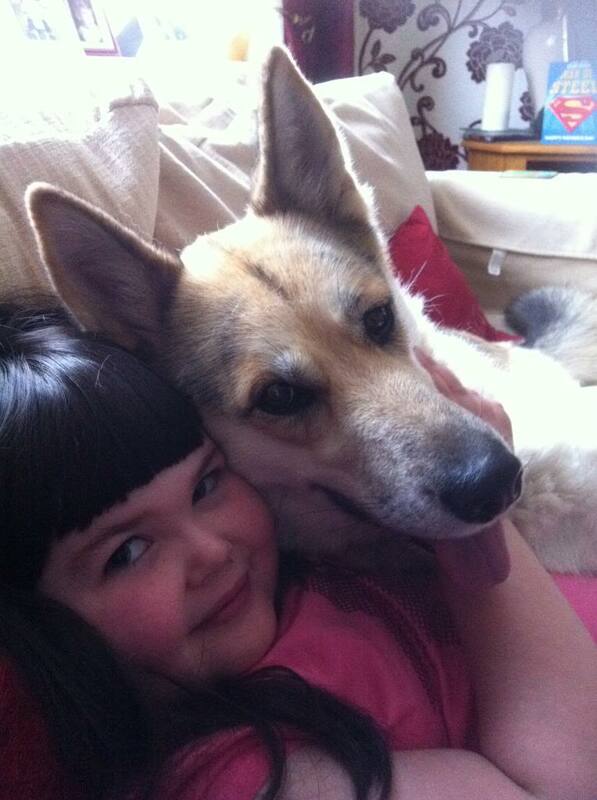 Both love to cuddle up with you on the sofa both enjoy a good brushing. Some polishing off needed on their manners but this is a work in progress at the moment. 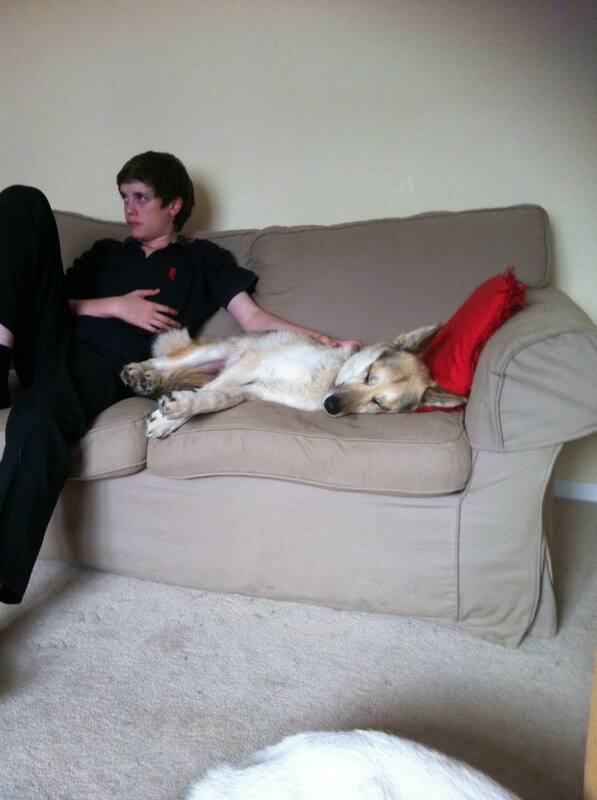 Both have been vet checked today and vaccinations will be brought up-to-date shortly. Dozer is having treatment for sore toes on one back foot at the moment but this is nothing serious and maybe stress related due to being in kennels and wondering what's going on? 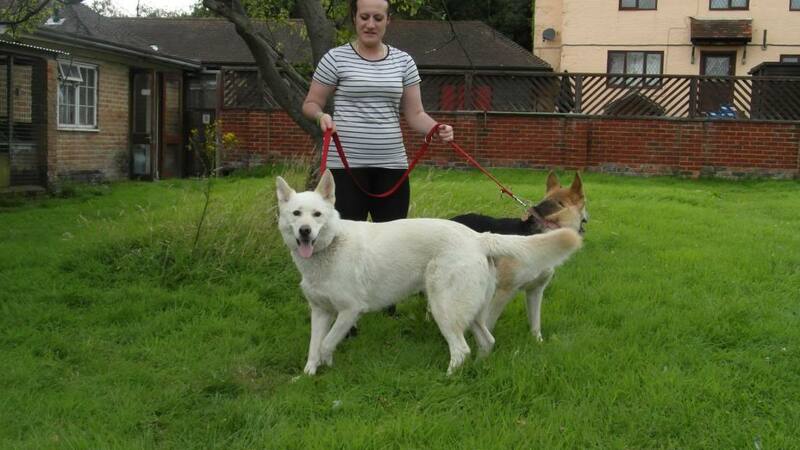 These 2 will be coming into foster with John this coming Thursday for 8 days while Mike has a well earned holiday. Please call John if you are interested in giving these gorgeous babies a new home 01932 571268. 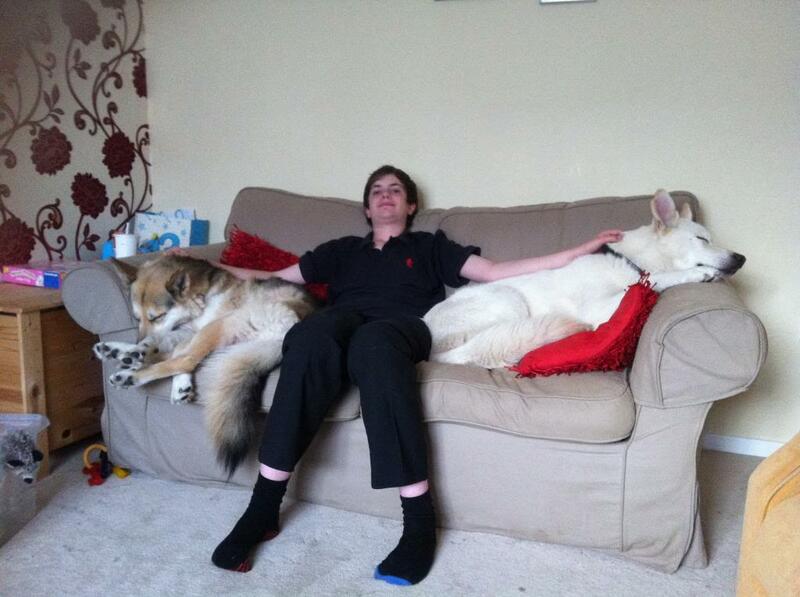 I took these guys to Treetops kennels today to meet some of the other dogs looking for there new homes. Here with Ammie one of Vigils Trustees and walker. And the other boys and girls. 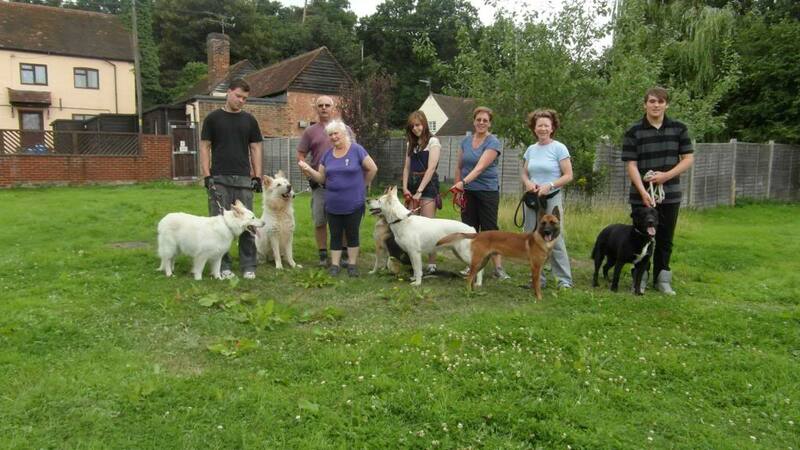 Another group of rescue dogs after a canal side walk at Treetops kennels yesterday. Humans from left to right. Tom, Sue a Vigil trustee,Neil, Another 2 new volunteers and Stella a Vigil trustee and another new Volunteer.